The Rajasthan High Court on Monday declared (Nikhil Soni vs. Union of India & Ors. Civil Writ Petition No.7414/2006) the practice of 'Santhara' or 'Sullekhana', a Jain ritual of voluntary and systematic fasting to death as illegal, and directed the State to treat it as an offence punishable under section 309 of the Indian Penal Code and its abetment thereof under section 306 of the Indian Penal Code. The ruling came in a PIL filed by Nikhil Soni who had sought a declaration that the practice is illegal on the ground that it amounted to suicide, which is a criminal offence and is punishable under section 309 IPC. No practice or belief or tenet, which is abhorrent to public order, morality and health and violates other provisions of the Part-III, namely, Article 21, can protect the religious practice.The petitioner describing the practice of Santhara as abhorrent to modern thinking, submitted that no religion howsoever historical, pure or revered, can permit or allow a person to commit death by choice. The fast until death is nothing but a self-destruction in whatever form and belief it may be, and that fundamental right to freedom of religion cannot protect a criminal act as it is subject to public order, morality and health. 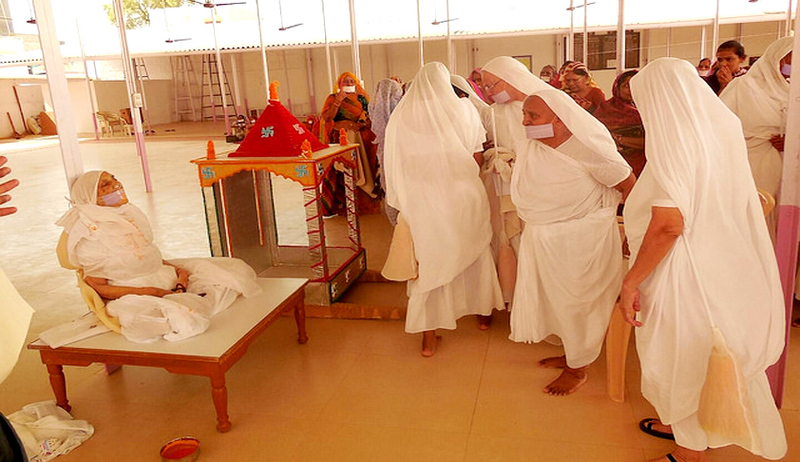 The petitioner further contended that Jain religion cannot claim a practice however ancient it may be, as an essential part or belief or tenet, which is violative of the public order and morality accepted by the State under the provisions of law including in section 309 IPC. The right to his/her death cannot be treated as part of the tenet of the religion, as religion which takes life cannot be allowed to advocate that the taking of life in however purified form is a way of life, which is also an essential tenet of religion. It was also argued by the petitioner that though in Aruna Ramchandra Shanbaug V/s Union of India (supra), the Supreme Court left the question as to whether not taking food consciously and voluntarily with the aim to end one's life is a crime, the substance of the judgments in Gian Kaur (supra) and Aruna Ramchandra Shanbaug (supra) is that no person has a right to take his own life consciously, as the right to life does not include the right to end the life voluntarily. The contesting respondents however defended the Santhara as an inseparable tenet of Jain religion. 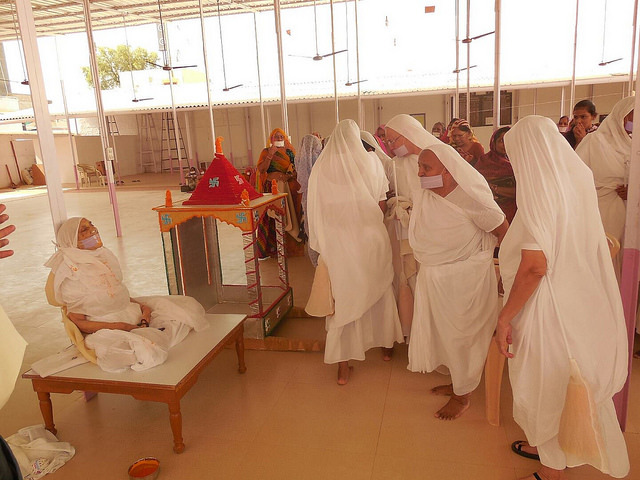 Advocates of the Jain community contended that adopting Santhara is not suicide. It is a death with equanimity in pursuit of immortality. The Rajasthan High Court said that it was difficult to construe Article 21 to include within it the right to die' as a part of the fundamental right guaranteed therein. 'Right to life' is a natural right embodied in Article 21 but suicide is an unnatural termination or extinction of life and, therefore, incompatible and inconsistent with the concept of right to life’, the Court said. The Rajasthan HC also added that the Constitution does not permit nor include under Article 21 the right to take one's own life, nor can include the right to take life as an essential religious practice under Article 25 of the Constitution.